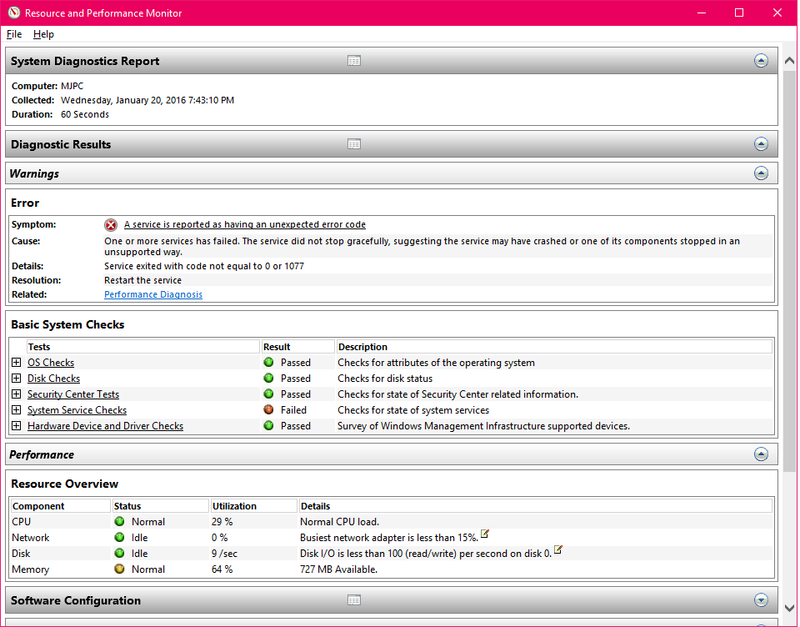 There may be other tool and software to check hardware and software issues in windows pc, but here I am going to show you free and easy way to check your entire pc performance like, drives, OS, Network Ram, Lan, etc. etc. 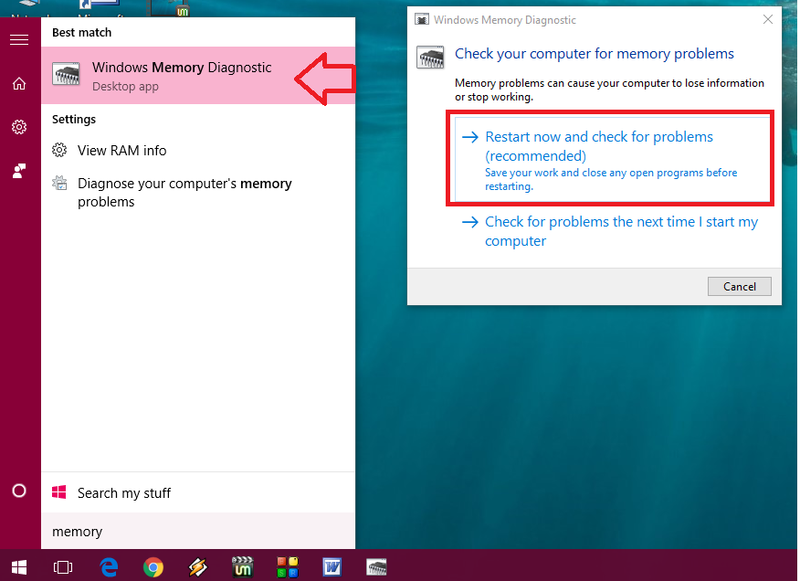 This is inbuilt feature in windows 7, windows 8.1 and windows 10. 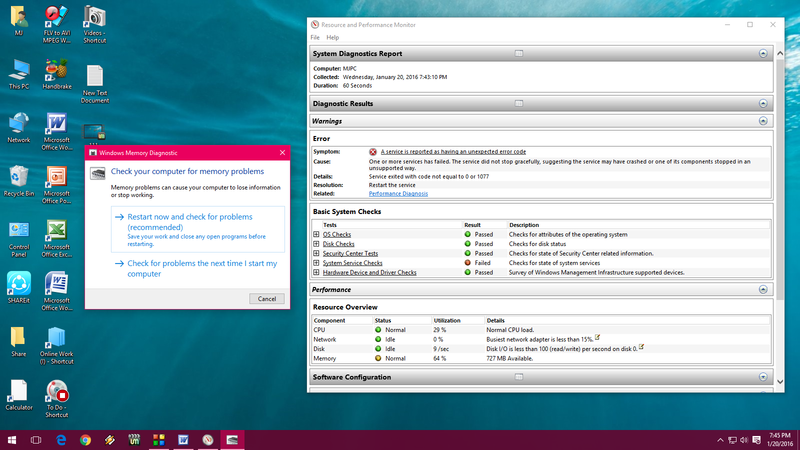 There are two way to check your pc problems, I am not sure this will work for all pc, but you can try this, its free and easy. 1. 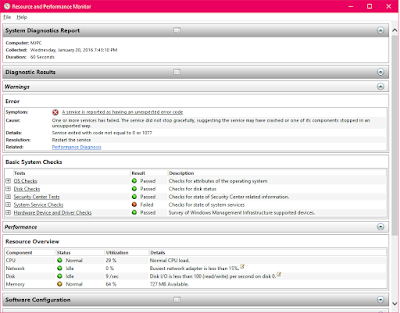 Go to start type “run” hit enter and type “perfmon /report” and press enter, this will collect your data for 6 seconds and shows you all result, warning and issues of your pc. 2. 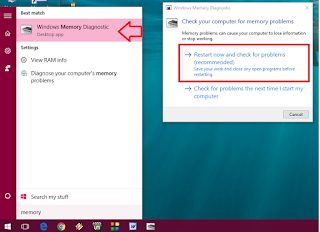 The other way is go to start type and open “windows memory diagnostic” and click on “Restart now and check for problems” this will restart your pc and check your pc issues. 3. If your pc not able to go to desktop, turn on pc and press “F8” button this will take you safe mode, now you can try these above methods.